These models are equipped with original EloTouch controller. Attention: We're sorry, MCITouch drivers for Vista, Windows7 and newer are not available. Especially the 64bit editions are not supported. Further information is available here. MCI 15TR4 (square model 76504-21x/xxxx): Please see section Modules und Utilities below. MC15 C2 (round model 76504-20x/xxxx): Please see the original driver CD. ZIP package including the configuration utility (external link to manufacturer page). Regarding drivers and configuration please refer to step 5 of this PDF document. 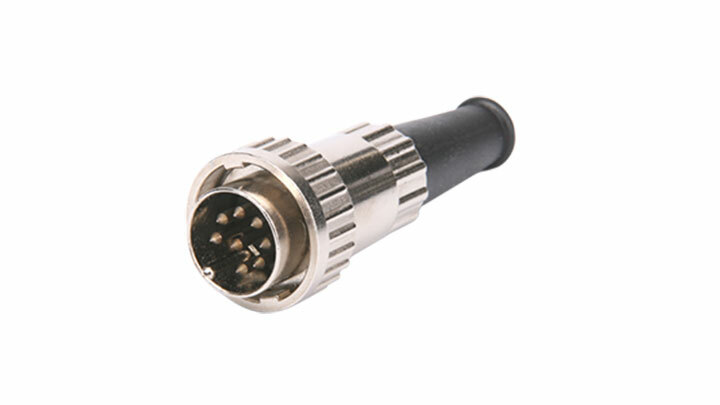 This MSR module has same drivers and configuration possibilities as our MCI USB keyboard series. The factory default configuration is ready for OPOS usage (you won't see the data in notepad). You can change this to your demands using the latest WinProgrammer. All necessary drivers and utilities can be found on the keyboard page. The TouchKey module on the left side offers full flexibility to place buttons, text and graphics. 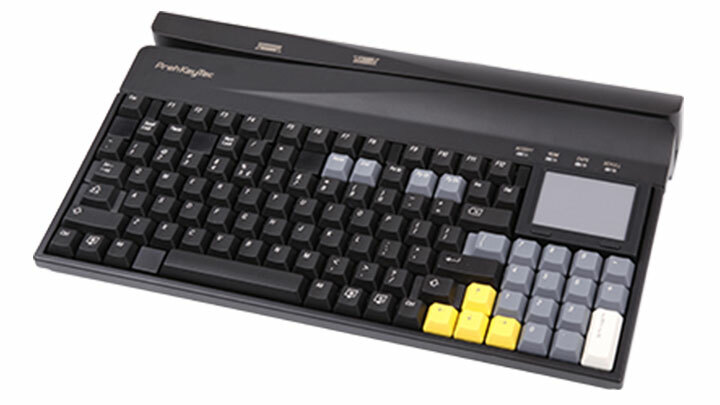 Configuration is created using the TouchKey Programmer. The resulting XML based configuration can be changed at any time - also during runtime by the customer's application. Installed .NET framework 2.0 Runtime - Download here. The keyboard section on the right side has all features and benefits of our USB keyboards of the MCI family. Programming of keyboard and other modules (MSR, Keylock) is done as usual. Please go to the Keyboard page to download the latest WinProgrammer. The MCI 96 TouchKey templates you can find here: Use menu "File->New" and select tab "Modules".